Now you can try to browse SSO dedicated URL of webmail (i.e. 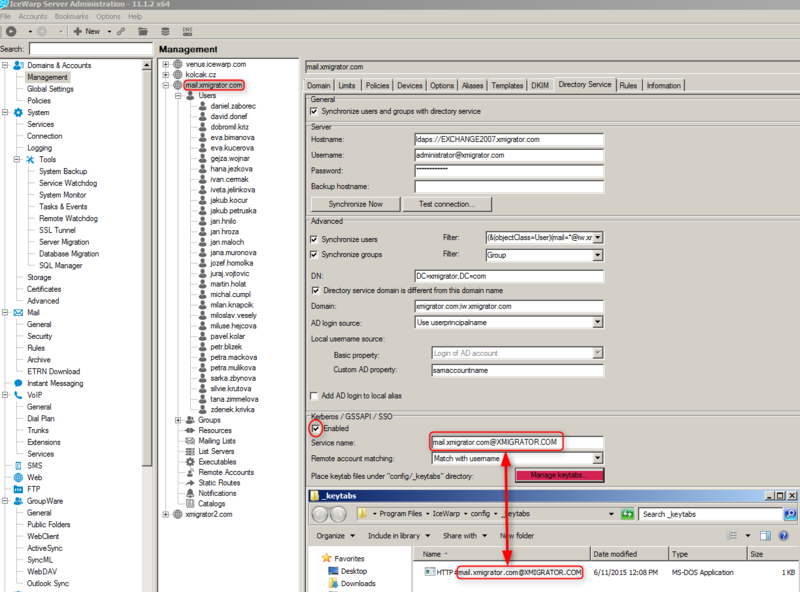 http://mail.xmigrator.com/webmail/sso) - if all went good, webmail of the same user as the one logged on to OS Windows will open. If not, Kerberos logs will become very usefull; turn them on in server Administration console: System / Logging / Debug tab / Kerberos. if source LDIF attribute value used for local username source contains dash, you have to enable checkbox: "add AD login to alias" and set "remote account matching" on: "match with alias".